Ever since 1946, in-depth articles and diverse opinions have been the hallmarks of Germany’s liberal weekly newspaper “Die Zeit”. 70 years on, it has now successfully made the transition into the digital media domain. 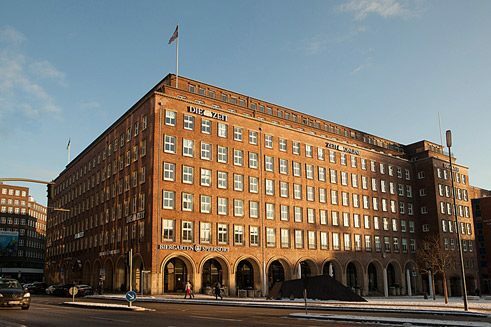 In February 1946, the founders of Die Zeit in Hamburg received their press licence from the British authorities stationed in North Germany, the first edition appearing on 21 February 1946. The four publishers, among them the lawyer Gerd Bucerius, wanted to play their part in shaping the moral reconstruction of their homeland, which had been largely destroyed in the Second World War, and saw zero hour as a historic opportunity. Ernst Samhaber, the first editor-in-chief at Die Zeit, thus did not shy away from openly denouncing the failures and shortfalls of the occupying forces. During subsequent years, Die Zeit evolved to become a resolute advocate of Germany’s right to self-determined democratization and in so doing established its journalistic reputation. Die Zeit publisher Gerd Bucerius recognized early on how important cultural reporting was for his newspaper, targeted as it was at the educated middle classes. The Feuilleton – the paper’s literary and arts section – did not blossom fully until after 1957, however, when the journalist and author Rudolf Walter Leonhardt took over responsibility for it. On 16 large-format pages, of which half were reserved for literature, Die Zeit reported on the cultural life of the Federal Republic of Germany and played a key part in establishing Group 47, whose authors included Günter Grass, Heinrich Böll and Hans Magnus Enzensberger, as an important literary voice. One particular editorial focus since the 1960s has been on university and educational policy, a tradition that is still upheld today in the offshoot magazines Zeit Campus and the Zeit Studienführer; the Zeit publishing house additionally serves the academic job market and promotes university career advancement through its online platforms academics and e-fellows. The newspaper’s cultural editors rarely provoke controversy. One important exception was the 1986/87 Historikerstreit – or historians’ dispute – over the interpretation of National Socialism, a controversy which was brought to a head by an essay in Die Zeit by the philosopher Jürgen Habermas. In financial terms, Die Zeit has not always been a success story. It teetered on the brink of bankruptcy in the spring of 1951 and found itself in the red in the early 1970s. Nowadays the competition is keen to learn from the lasting success of Die Zeit and discover how to profit from the changed reading habits brought about by the Internet. While daily newspapers already seem out of date by the morning, Die Zeit presents topics and analyses which go beyond those of the current day, supplementing them with the latest news and reports on its website. In this respect it is reminiscent of the news magazine Der Spiegel, which likewise appears weekly and whose journalistic antithesis it remains to this day. Whereas Der Spiegel is synonymous with investigative research, an anonymous style of writing and provocative opinion pieces, it is analysis, individual authors with a clearly identifiable signature and a balance between the political camps that are cultivated in Die Zeit. With editor-in-chief Giovanni di Lorenzo at the helm, a post he took over in 2004, the modernization of Die Zeit – a process that had been pursued somewhat tentatively up until that point – was driven forward with a vengeance. The layout was given more pictures and more colour, and the glossy Zeitmagazin supplement, which had been discontinued in the interim, was reintroduced in 2007. These days the cover page more frequently features topics of general interest, for instance from areas such as society, psychology and biology. In addition, regional editions were created for Hamburg, Saxony, Switzerland and Austria. Die Zeit has also stepped up its Internet presence significantly and now attracts over 50 million visitors per month to its Zeit Online website (12/2015), around 19 million of these being via mobile devices. In 2015, the newspaper’s publishers set up their Ze.tt website, which is geared more towards a younger target group and generally to users of social media. If this has the desired effect, the “elderly aunt” will soon be attracting some young nephews and nieces. An article about a regular visitor at the library of the Goethe-Institut Sri Lanka wasd published in a supplement on the 70th anniversary of Die Zeit. As a loyal reader, he would not miss any edition of the weekly newspaper.